Just a quick post today to share a sneak peek of one of my projects on Mudra Blog. 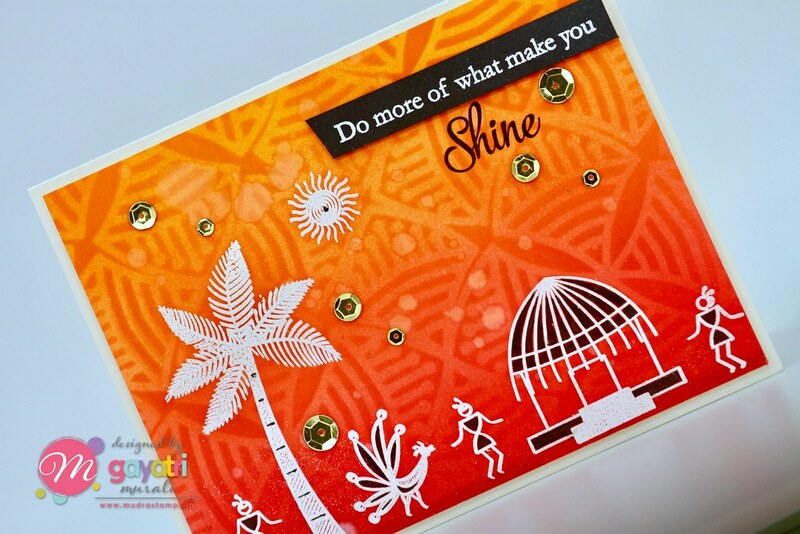 I have used a stamp set and two stencils to create a set of three cards. These products showcases one of India’s tribal art called Warli. So happy to be able to showcase one of India’s art on my cards. Here is a closeup on one of my cards. Check out Mudra Blog for the others and the products I used to make them. What a cool card! The background is wonderful!